As the late-autumn sun dips over Maranello, the glints of colour on the shapely curves of this car are more than a little distracting. But you don’t have time to be so thoroughly intoxicated by those mesmerising sweeps that you can allow your concentration to falter for even a second. Because Fiorano is a tight, tricky track that, given the space constraints, has been built and extended through expedience: dipping and weaving, crossing itself via a narrow bridge and presenting hairpins and loops for which your options are to be fully tail-out, at a snail’s pace, or, if you have neither the bravado for the former nor the fear for the latter, understeering. A lot. Built in 1972 in Enzo’s back garden, this is three kilometres of test circuit that, putting aside the romance, looks like the random pattern of a discarded shoelace from the air. Yet every enthusiast dreams of driving it. Add to the equation a dream car to do it in, one of which fewer than 300 examples were built, and things just get a little overwhelming. 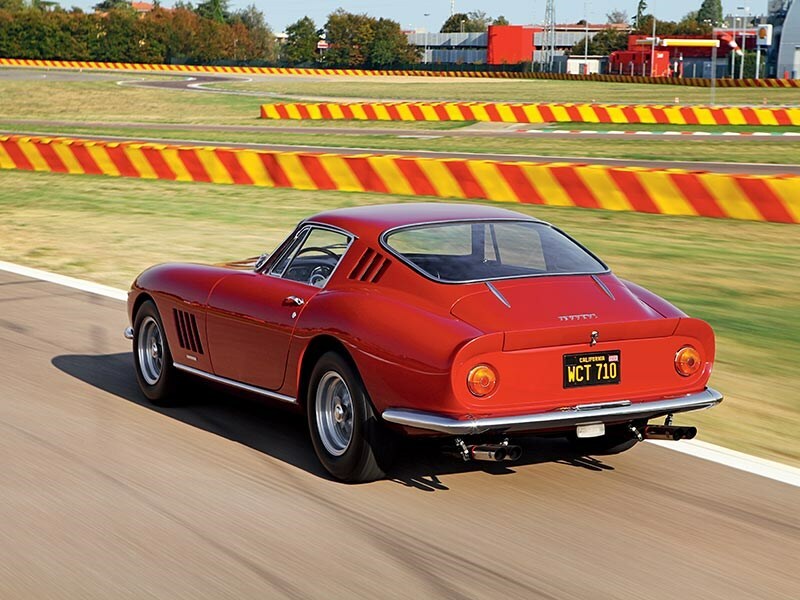 For me, the 275GTB/4 has always been a contender for best-looking and all-round finest Ferrari road car of them all, perhaps rivalled only by its 250GT SWB predecessor. 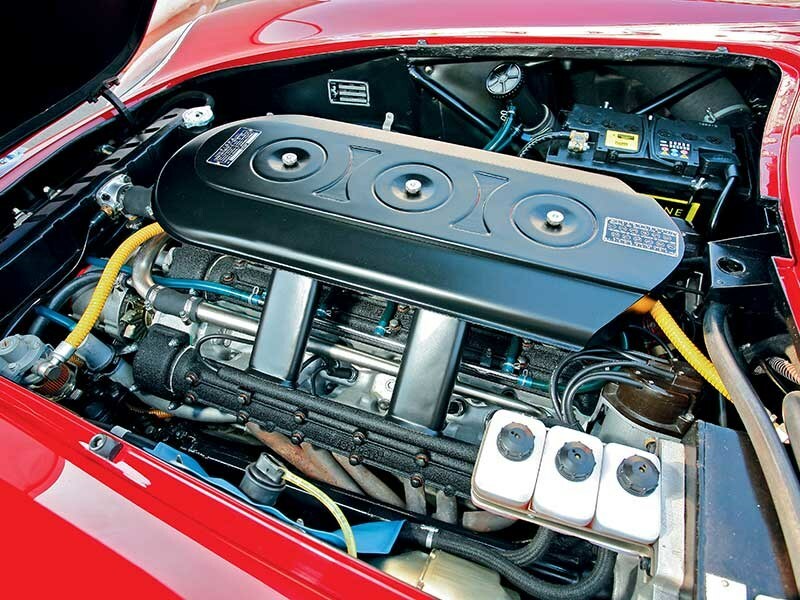 Yet, while the more animalistic 250 V12 from the earlier car was housetrained into a smoother, more user-friendly unit – especially in four-cam form – the looks went the other way. The more discreet one-piece late-50s swimsuit of the Short Wheelbase, which still left a little something to the imagination, gave quarter to the 275’s more overt and sexualised bikini-clad charms. 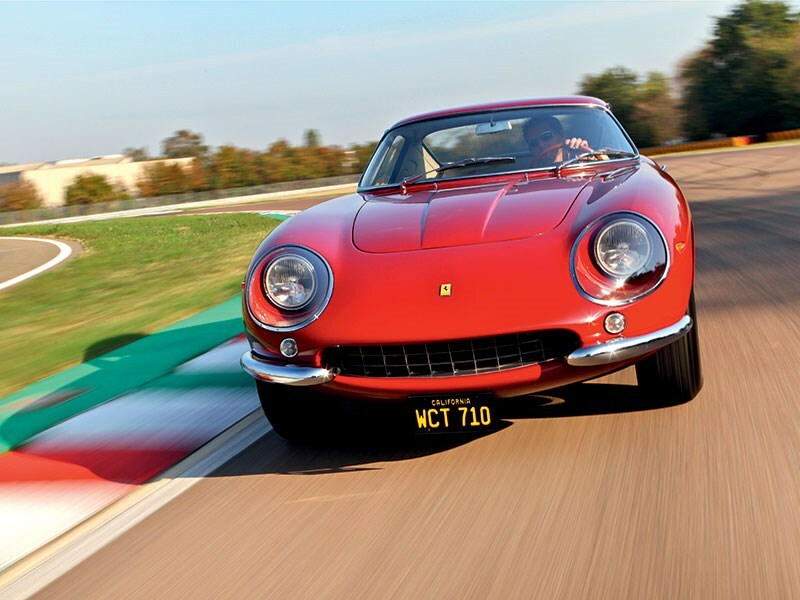 And the fact that this particular four-cam has trundled barely a handful of post-restoration miles from the Maranello factory to the track means that this is to be as authentic an experience as it would be possible to recreate. There are two schools of thought about ‘breaking in’ freshly restored cars, and luckily for us the owner of this one believes that a ‘new’ car should be driven like a new car. Rather than wrapping it in cotton wool, he sees this as absolutely the optimum opportunity to test it to the limit. Goody. It might not take long to work it out with a bit of digging, but for the purposes of this story the owner would prefer to shun the spotlight because he thinks the focus should be on the car... and its first owner, Steve McQueen. Then there are the long boot hinges on the fastback (which denote a four-cam), the front quarter-bumpers that so neatly arch into the grille recess, the narrow, low-set eggcrate grille, headlamps set unfeasibly far back in their huge fairings, sunken sidelights so carefully placed, or the indicators hidden away on the wing, halfway up the headlights. 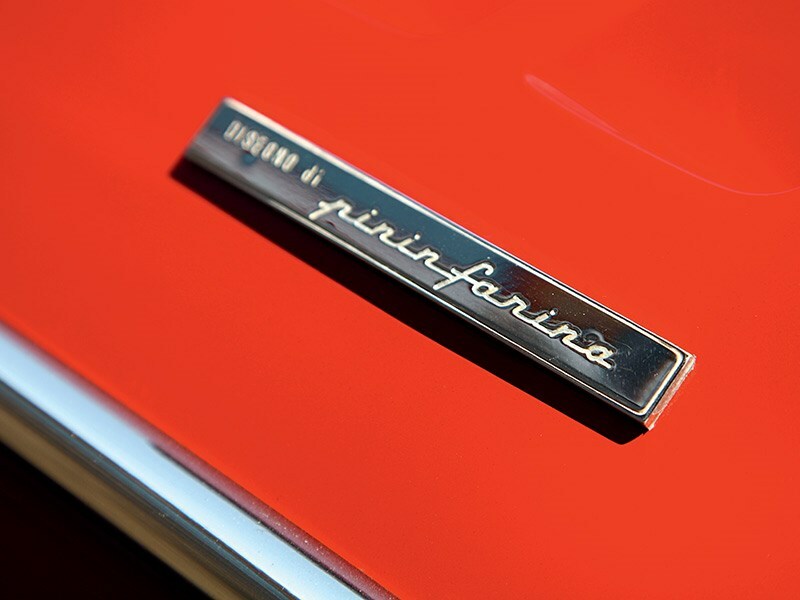 It sits, wrongly, on Borranis (Ferrari switched to Campagnolo alloys for the GTB/4 after fears over the wires’ strength) with, for now, non-standard spinners, and proudly displays its Pininfarina lineage with badges under the four big gills on the front flanks. The bonnet aperture is narrow, but beautifully frames – cuddles even – the work of art that is Colombo’s V12, the quartet of cam covers rolling over the top of the engine like a huge cog. The brightwork is sparse but chunky, in a durable rather than heavy-handed fashion. All that is conspicuously absent, in fact, is the overdose of badging that current Ferraris wear. And it is all the better for that. This was an era when Ferrari exuded such confidence, when its cars were so distinctive, that only scarce on-car advertising was necessary. You should know what it is. If you didn’t, Enzo didn’t need you. The 275 is a proper GT, the shallow boot big enough for a couple of cases. Inside, the steeply raked windscreen turns the corners and, combined with the surprisingly panoramic rear window, the all-round visibility is excellent aside from hefty rear pillars. It really does feel like a cabin in which you could glide across continents, with immaculate black trim and wonderful touches such as the delicate quarterlight openers. There are contradictions, however. The door pull is smoothly curved to the shape of your index finger and the trio of stalks are similarly discreet, contrasting with the big window winder handle that takes a full five turns to move the glass barely 30cm. The wooden rim of the gorgeous three-spoke Nardi wheel shares that mien of chunkiness and beyond it, tilted gently towards the driver, is an impressive bank of Veglia dials with a 180mph speedo and a rev counter that runs to 8000rpm, with the red-zone starting at 7600rpm. The thickly padded bucket seats are cosseting and behind them there’s just enough space for a bit more soft luggage – overnight bags, perhaps, for those stops in the mountains when you arrive late and don’t want to disturb the long-term suitcases in the boot. Five-minute warning from the marshals. Fire it up to warm the engine. The urbane rumble of that willing V12 soon settles into a smooth idle at 1200rpm. 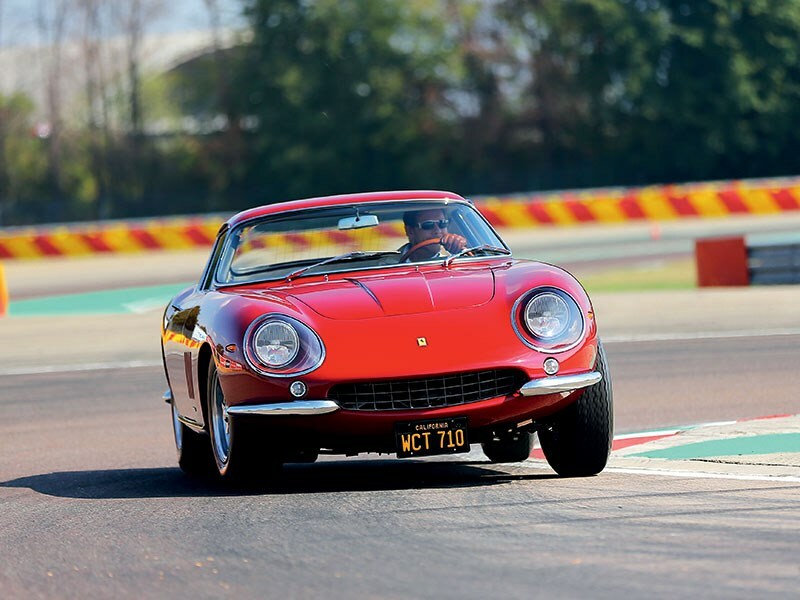 The 275 was introduced in 1964, and brought with it Ferrari’s first transaxle and all-round independent suspension. Two years later, an update introduced a steadying torque tube and a longer nose to prevent high-speed lift. Then came the 300bhp four-cam, for which the transaxle was redesigned, and the dry-sump 3286cc V12 was given a reduced valve angle of 54º (from 60) and six Webers as standard. The upshot was a car capable of topping 160mph, barely short of the missiles that would soon give rise to a new term: supercar. Suddenly, a barrier lifts and a man waves us onto the track. 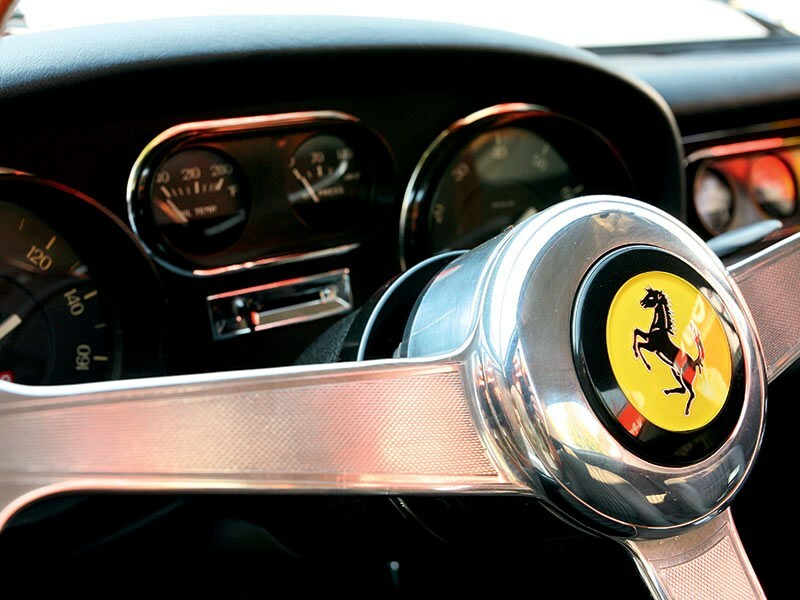 Slide your fingers into the thoughtful gearlever notches, ease it down and towards you in the familiar gate, then lift the clutch (big, but not heavy like in a 330) and the 275GTB/4 trickles away obediently at slow speed. There is a quick sprint down to the first corner, but with neither brakes, tyres nor gearbox yet up to operating temperature, you take it easy through that initial tight right-hander. 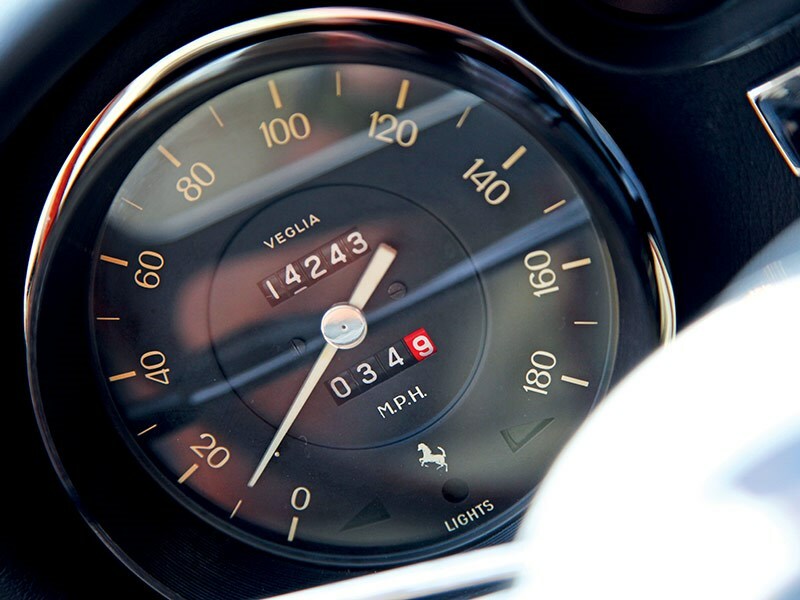 It takes a whole lap for all the mechanical elements of the Ferrari to syncopate and then it is revelatory. At its absolute best through long sweepers, where its poise comes into its own, the 275 also makes a pretty good fist of a dash-through-the-gears drag-race, though that somehow seems a little vulgar in this car. Once warm, the brakes are superb, as is the gearbox, initial baulkiness now but a memory. As with all open-gate Ferraris, because of the length of the throws and the precision of engagement, you can’t be too gung-ho to start with, but once your mind is programmed to make those deliberate moves, it is wonderfully slick. And with every change comes not a violent kick of power but a smooth surge, like a surfer catching a Big Wednesday wave. Such is the civility of the GTB/4 that it would be easy to imply that it is soft, but that is not the case. Even when it is being driven at the limit, its appointment and balance allow the driver to focus solely on what their hands and feet are doing, adding to the thrill. Hit the tightest horseshoe corner at a decent lick and it can become hard work to keep that long nose tucked in, but as the car starts to wash away across the track, you can bring it back into line using the responsive foot-long – but barely more than an inch wide – organ throttle. Once mastered, the same technique works everywhere; feeling the Michelin XWXs rolling on the rims before snapping upright and moving laterally yet gracefully. Just be careful not to hit a bump mid-corner or it really will spit you out. 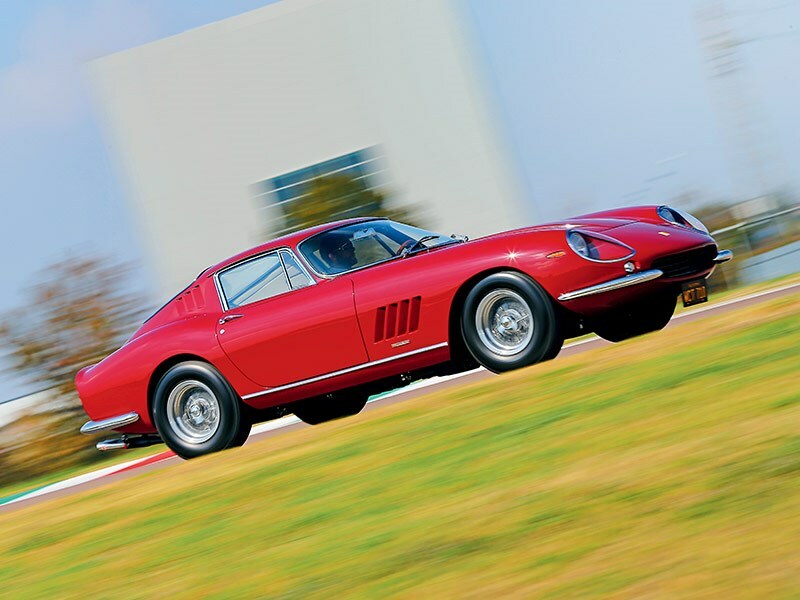 It is no surprise that the 275GTB/4 is quick, or that it handles well, but as an out-and-out performance car, something you could stick roundels on and race just as it is, the Ferrari far exceeds expectations. And yet, with its smooth ride, sharp, low-geared steering and flat, neutral handling at sane road speeds, it similarly surpasses your hopes in how usable it might be off the track and in the real world. The Italian overuse of the word ‘simpatico’ has often become a bit of a running joke with classic fans. On this occasion, however, it perfectly describes a remarkable car. It doesn’t have a split personality because its character doesn’t really change; it is simply capable of doing the same things equally well when pottering or at enormous speeds. All too soon, there is an angry Italian man gesturing at you, fed up that his despotic flashing signs have been ignored for a few too many laps. Acknowledge his wave, ease down a gear, and breathe. Rolling into the car park beside the track, you pause for a moment, lost in your own sense of awe. Fiorano to yourself would be thrill enough. 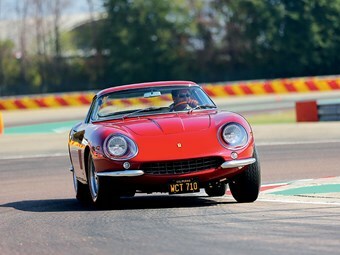 A 275GTB/4 anywhere would be a rare privilege. But to combine it all and add that sprinkle of Hollywood stardust provides an experience that will last a lifetime. Whatever your thoughts about the McQueen ‘industry’ – and many (including me to a degree) have become jaded and sceptical as it has ballooned to such an extent that there was talk of half a million bucks for his tattered old Bullitt geography teacher’s jacket – you have to appreciate what it can achieve. Without that fever, this story would have been a work of fiction. Indeed, even though I know it actually happened, and have the photographic evidence, somehow it still seems like an experience so extraordinary that it could not exist beyond my imagination. The owner of the ex-McQueen 275GTB/4 has gone to fanatical lengths to map out its story. Piqued by question marks over some of its past, he has traced every previous owner to assemble a definitive, irrefutable record of its life. It was delivered new to Steve McQueen in 1967 (a year in which he worked on Bullitt and The Thomas Crown Affair), finished in Nocciola (Italian for hazelnut, but metallic gold to most) with Nero hide. Lee Brown, who prepared the Mustangs for Bullitt, collected the car for McQueen and took it to his workshop, where it was parked beside the star’s crashed NART Spyder – pranged the first weekend after repainting and mild customisation at Brown’s. 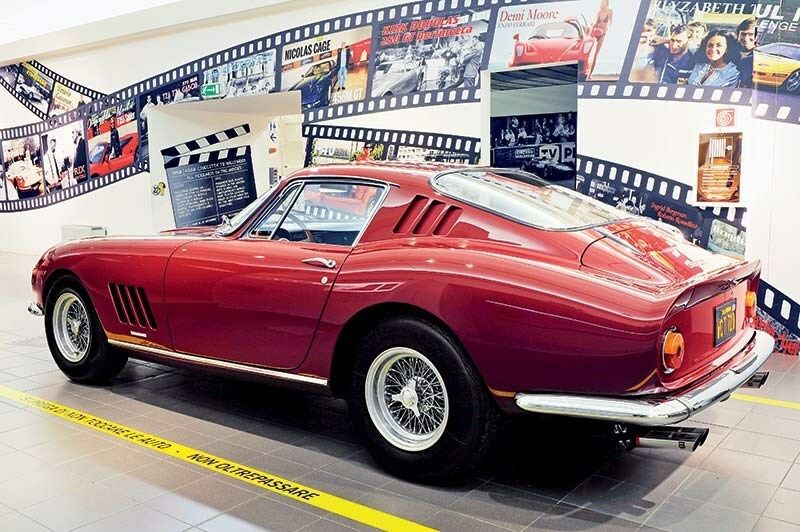 Before the Hollywood star even drove the 275, it was resprayed a deep maroon mixed by Brown and dubbed Chianti Red. The Borranis were removed from the NART and put on the GTB/4, with a custom mirror and retractable aerial, and the seats were retrimmed by drag ace Tony Nancy. "Steve was broken-hearted over the NART getting smacked," Brown remembers, "but he just really wanted another Ferrari to drive." Chris Vandagriff, son of Hollywood Sports Cars owner Chic, who supplied the 275, recalls: "Steve and Dad were good friends. Steve was an automobile fanatic and would just come and hang out. He drove cars hard, but he respected them." McQueen kept the Ferrari until 1971, when it was sold on to Zorro and Lost in Space star Guy Williams. He ran it until 1976 and in that time it was bright red. Williams’ son Steve Catalano, who earned his allowance by washing the 275 and drove it as a teen, says: "I ran into McQueen after I found out he owned it... I was recollecting the GTB and he said ‘Oh yeah, I remember the car, I munched that one’." Paint guru Junior Conway, who got his break working for George Barris and fettled McQueen’s cars for years, plays down the damage, describing it as just "a small accident to the front of the car". 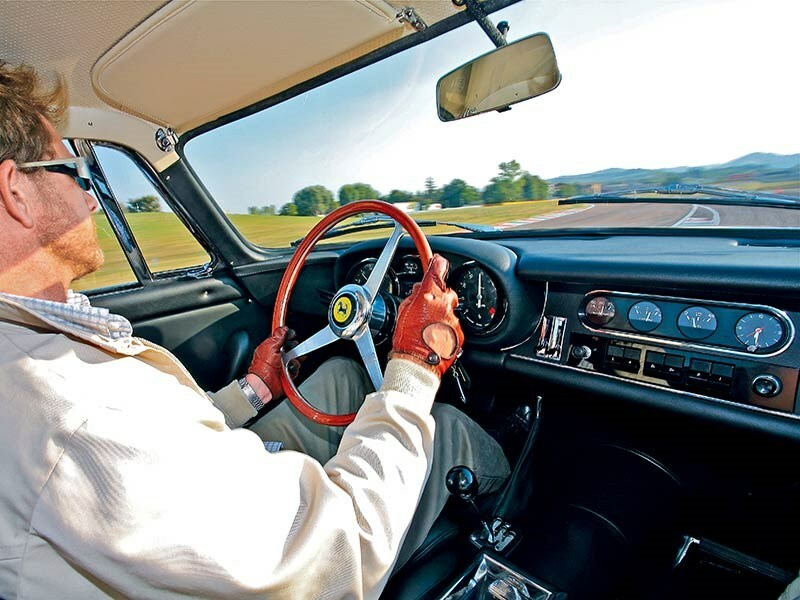 But he agrees that the star’s machines led a tough life: "He drove his Ferraris so hard he broke the spokes on the wheels all the time, so he wound up putting solid rims back on the 275GTB." 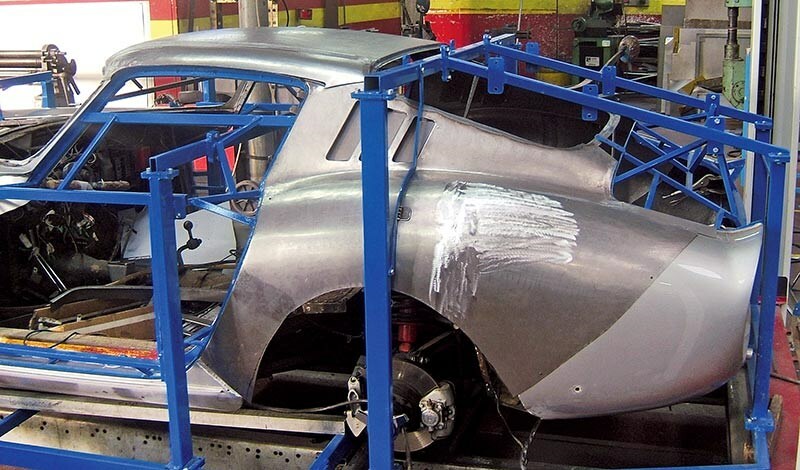 After Williams, the car was owned by JP Hyan, but following rear-end damage it sat in Conway’s bodyshop in primer for most of his tenure before trucking magnate Robert Panella bought the car in October 1980 for $32,000. Panella commissioned a $10,000 NART conversion by Richard Straman and a respray in yellow, mixed by Conway. This was no crude chop: Straman only created a handful of Spyders, using Scaglietti’s own bucks, and in value and regard they seem to be second only to original NARTs. Panella kept the car for 16 years, while later owner Andrew Pisker had it for nine – in which time the colour was changed to Argento Auteuil. 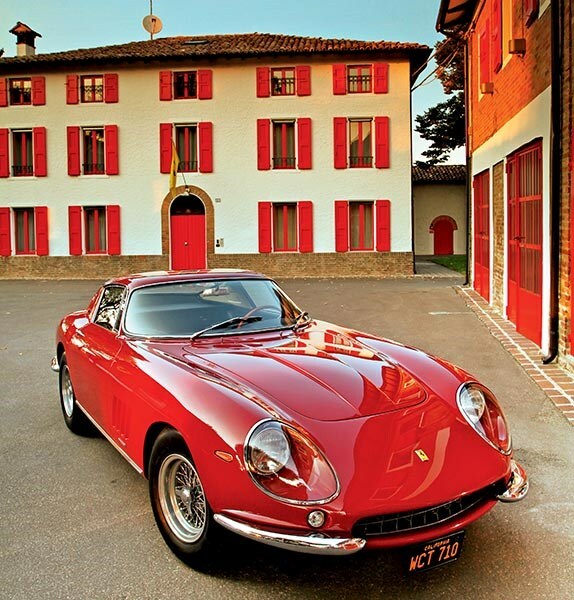 Then Aussie yachtsman and historic racer Peter Harburg bought it and sent it to Maranello for assessment in 2010. While it was there, Harburg sold the 275 on to a friend who, with a quote of £88K ($A154,000) to return it to a Berlinetta, forged ahead.